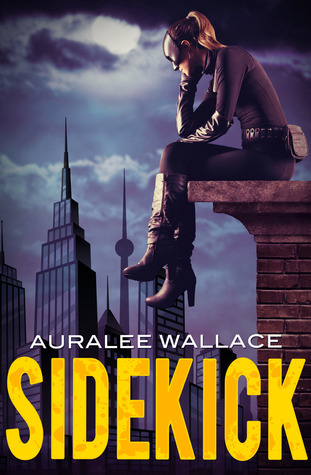 When I saw Sidekick pop up on Netgalley I was instantly intrigued by the superhero inspired cover. I couldn’t resist taking a chance on it… and I’m very glad I did! The story follows Bremy the daughter of a very rich family who has left behind her socialite partying lifestyle for independence in the big city. Living undercover and struggling to make rent Bremy needs to make money fast. After a couple of unfortunate ‘wrong place wrong time’ run-ins with the Sultana and her performers who are committing various crimes and threatening local citizens, Bremy meets Dark Ryder the city’s famous vigilante superhero. With her money problems spiralling and her newfound taste for fighting crime Bremy embarks on a new venture to become Dark Ryder’s sidekick. Of course, this doesn’t go all that smoothly for Bremy as with no real superhero skills she has to muddle her way through some tricky situations on her determined attitude alone. As a protagonist I really enjoyed following Bremy on her journey, she is a strong character and definitely grew over the course of the story. 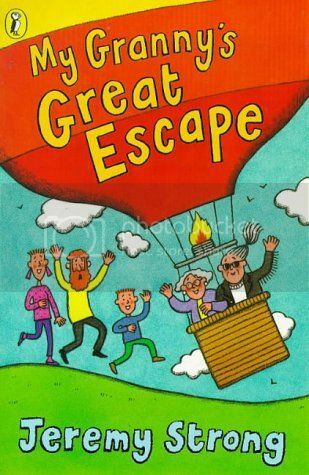 The book also has a whole host of other interesting characters from Bremy’s father & twin sister, to handsome reporter Pierce and bizarre neighbour Queenie. Sidekick is a refreshing, fun read and an impressive debut. This unique story is definitely a new favourite for me, packed with action, adventure and superheroes – what’s not to like?! Sidekick is released on June 1st and you can pre-order a Kindle copy now for just £1.89! Psychokinesis: the ability to move objects with only the power of your mind. When the police arrive at the home of Leonard Samson after hearing word of a break in, the scene that greets them is both unusual and horrifyingly gruesome. After being brutally beaten to the point of unconsciousness, witnessed violence against his wife and daughter, and the murder of his six year old son, Samson is found sitting calmly in his kitchen with the surviving members of his family whilst the two men who broke into his home lay dead in his living room. The bodies are mutilated beyond comprehension and the police start to suspect it is the work of a Kinetic, a person with the ability to move objects with their mind. Detective Clarrisa Chapman from the London Psychokinetic Investigations has witnessed both shocking and unusual cases of Kinetic’s over the years, but when she’s brought onto the Samson case things don’t quite add up. Firstly Samson doesn’t fit the profile of a Kinetic, he’s sound of mind and refuses to demonstrate his ability at all costs, in contrast Kinetics who discover they have the ability usually end up on violent streaks and eventually drive themselves into insanity. Upon finding out the police suspect him of being a Kinetic and have plans to lock him away for the public’s safety, Leonard runs. But it’s not just the police who are chasing him down. Readers who aren’t a fan of the gore and violence may want to approach with caution, the first chapter is especially harrowing to read. 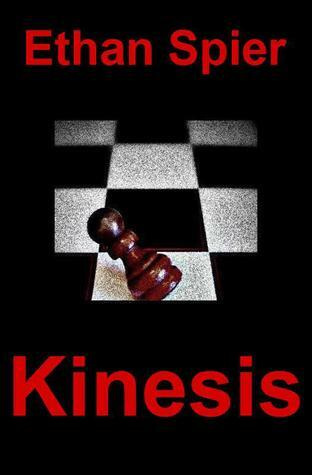 That being said Kinesis is one of the most gripping reads I’ve picked up in a while. The premise of humans have telekinetic or psychokinetic abilities is not an entirely new concept, but Spier manages to keep the concept fresh with a rich back story on the science and social history of the ability without it intruding on the story as a whole. In terms of characters, it’s actually quite hard to pin down who the main protagonist (or antagonist) is. Though this may come as a disadvantage for some novels, the rotation of viewpoints and personal stories actually helps drives the plot and aids character development. It especially helps when you’re getting to know Clarissa and Leonard's characters assisting in balancing out the viewpoints on the good and bad qualities of Kinetics. The ending feels like it’s lifted straight out of a movie, the imagery is pretty graphic yet there are also smaller emotional moments that Spier pushes through to keep it from being a generic action sequence. Not to mention the plot twists and the final epilogue, which set up the book’s sequel, leave you feeling both satisfied and thirsty for more. For lovers of…X-Men, The Tomorrow People, and Carrie by Stephen King. Our next group post is all about book to film adaptations. We're going to be sharing our favourite recent adaptations and the upcoming releases we can't wait to see - and we want your contributions! 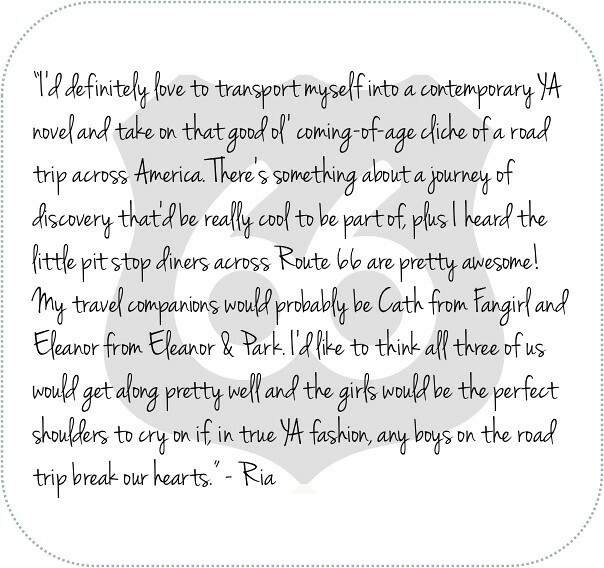 Drop us an email, tweet us or post to our GoodReads page by 16/6/14 to have your answer included in the post! Nicholas's granny is in love with the next door neighbor's father. The family think it's great and the two start to embark on quite the romance, that is until Mr Tugg and Nicholas's Dad decide to put a stop to their shenanigans. But don't worry Granny has a few tricks up her sleeve. Another humorous and entertaining story by Jeremy, this family unit which he has cleverly created never seem to get boring. Each character is uniquely individual yet likable and Granny (who this story focuses on) is no exception. She is what every child would like their Grandma to be like, loving, caring but with a crazy wild side. Dad causes a lot of the problems in this story, his over protective nature causes him and his Mother to clash and Granny is sent to her room like a naughty child (which of course made all the children laugh). Her love interest Lancelot is always around to save this day and comes up with numerous adventurous inventive ways to get to see Granny and also help her escape. This is another entertaining read, one that both children and adults will enjoy reading so if you've read some of his work already don't leave this one off the list. 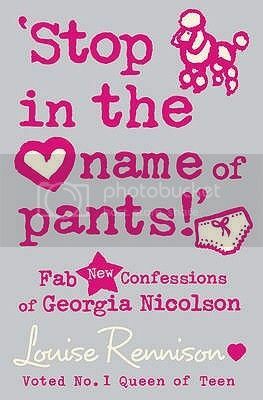 While my favourite book genres are fantasy and dystopian, I do have the occasional ‘grown up’ book that I read. For me, a lover of easy to read, easy to follow, nothing too complicated books with possible sequels and a twist of the supernatural or magical, a ‘grown up’ book is what normal people probably just call ‘general fiction’, perhaps ‘contemporary fiction’. You know, books that are about real life, with plausible situations, characters you might actually bump into on the street, laws and politics, and big words. Lots of big words. 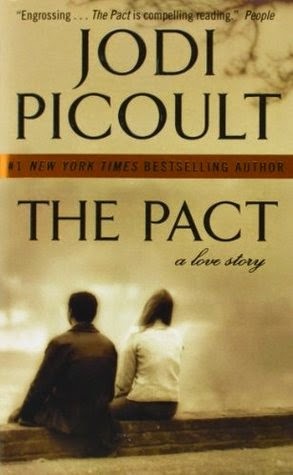 Normally it’s difficult for me to get into a book like that, but not with Jodi Picoult’s books. I find that once I start one of her novels, not only can I not put it down, but I find myself thinking about it days after. 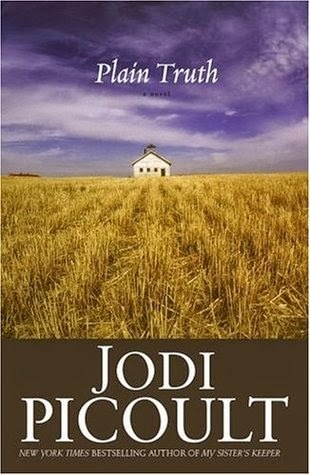 My first Jodi Picoult book was probably the most famous: My Sister’s Keeper. It was our year 13 (last year of high school) novel to read and then study, and while My Sister’s Keeper is actually one of my least favourite books of Picoult’s, it was the one that sparked my interest. Since then (6 years ago), I think I’ve read about 11 of the 22 she has published so far. Today I thought I’d share with you my 3 favourite novels. Neighbours since forever ago, Chris and Emily’s long ‘girl/boy girl next’ friendship turns into something more. They are inseparable, they are soul mates. It comes as the most shocking news from the hospital one night when they call to say that Emily is dead: a gunshot to the head. There’s one single bullet left in the gun that Chris had taken from his father’s cabinet when he left to meet Emily that night. Chris says that that bullet was meant for him, but the detective on the case can’t help but wonder about the truth behind the suicide pact. This is an incredible story about families in anguish, about how well we know people, about the bonds of friendship, about love. In the state of Pennsylvania, a dead infant is found in the barn of an Amish community. Two things are then discovered: the baby’s mother was unmarried 18 year old Amish girl, Katie, and the baby’s death was not natural. Katie denies giving medical proof that it is her baby, and is arrested for her murder. Defence attorney Ellie Hathaway takes on Katie’s case, but soon realises there are so many more challenges than that of her other cases. A clash of cultures, of life-views and of a whole other world emerge and Ellie begins to truly understand what it’s like to live in Amish community. Another great story of relationships, love and loss, community and family pressure and sacrifices. It’s also a great insight into a little bit of the Amish way of life, something that Picoult portrays very well. June Nealon’s world is shattered when her husband and daughter are killed. Shay Bourne, their killer, is now the first death-row prisoner in New Hampshire in 69 years. Eleven years on death row and finally a date has been set for his execution. His last request? To donate his healthy heart to June’s other daughter, Claire, who has a terminal heart condition. With the assistance of Maggie Bloom the lawyer, Father Michael the priest, and Ian Fletcher, a character from another of Picoult’s books, Keeping Faith, events unfold in the court room and secrets are unearthed. An interesting look into religion and faith, and also the death penalty, this is a very moving story, and Picoult, as she always does, handles every aspect of it wonderfully. One of the things I love about Picoult’s novels is that they are told from varying points of view. Each book has 4 or 5 main characters that tell their story, alternating chapters. It’s something that Picoult does extremely well, and it definitely helps to understand the characters and their actions a lot more. I also love the occasional cameo appearances from other characters in other books. I do find, however, that I can only read one of her books, then I need about a 6 month break before I can read another. There’s only so many ‘grown up’ books you can read in a row. Images from Good Reads. Links in title of book. This month we asked our readers to put themselves in the shoes of a protagonist... what kind of story would they like to star in? Which other characters would they want alongside them? From the realistic to the more adventurous the possibilities were endless. Keep reading to find out what they chose! 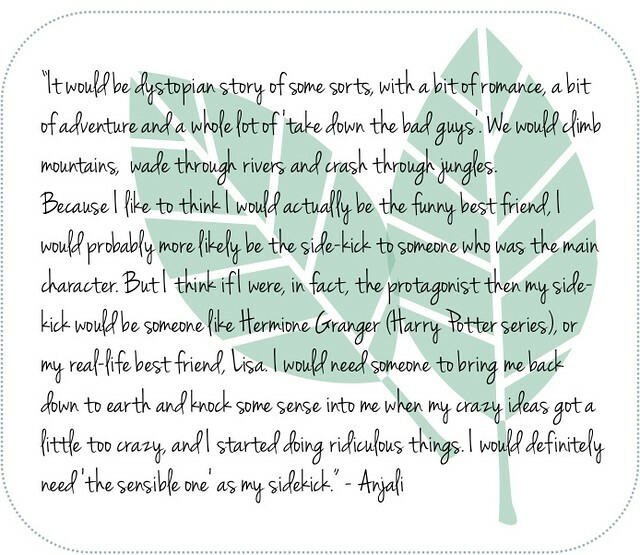 Our next group post is all about book to film adaptations. We're going to be sharing our favourite recent adaptations and the upcoming releases we can't wait to see - and we want your contributions! Drop us an email - bloggersbookshelf@gmail.com - or tweet us @blog_bookshelf for more information and to have your answer included in the post! Molly's little brother Sam is stuck in a love rut. He's tries so hard with women but falls short. Luckily Molly is willing to lend a helping hand and as she waves her metaphorical dating wand, she lands Sam the girl of his dreams and helps him keep the girl too! 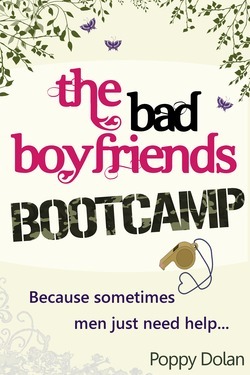 Thanks to Sam's success, Molly's single, male friends are soon lining up for her magical dating makeover and, along with her two friends, her entrepreneurial brain gets to work to create The Bad Boyfriend's Bootcamp. But fixing other people's problematic love lives is only half of the story, Molly also has to deal with her successful entrepreneurial mother, a grim looking overdraft thanks to her past failing businesses, and her own lackluster love life. As seen in the title, the plot line for this novel is pretty predictable from the get go. Molly herself is a character I've seen in from this genre of book before, she’s a little hopeless with her life lacking in direction despite being the daughter of an extremely successful businesswoman mother. I often found myself frustrated at how shortsighted and selfish she was being, but luckily this is picked up as a major flaw in her personality by her friends as the book goes on. Her two friends she ropes into the Bad Boyfriends Bootcamp business plan, Josie and Rachel, make nice additions to the story and I actually found myself wanting to read more about their back stories during the novel. As I've mentioned plotwise, the novel is pretty formulaic right down to the elements of second hand embarrassment, best friend/close family fights, and happy ending romance. 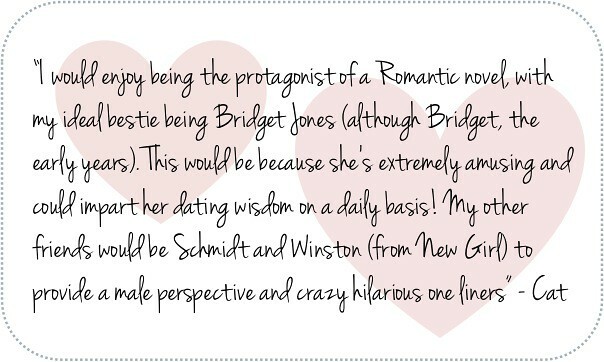 Despite this, the writing was fun and there was a few pretty recent pop culture references that made me chuckle. If you're after something quick and easy to read, this one's for you. YA time travel novel All Our Yesterdays kicks off with Em, trapped in a cell with a mysterious drain that is driving her crazy. In the present Em is locked up in her cell next door to Finn’s and both are tortured by ‘the doctor’. After acquiring a piece of cutlery Em manages to open the drain and finds a note written in her own handwriting which simply says ‘you have to kill him’ over and over again; Em has been here before. In the other time line we meet teens Marina, James and Finn who are dealing with a tragedy at a crucial point in all of their lives. A tragedy that if prevented could erase the sad futures of Em and Finn. Thanks to a stranger Em and Finn manage to escape their cells, reach time travel machine Cassandra and head off on their mission to put things right. At first I wasn’t overly enthusiastic about the book or it’s characters and initially I found the jumps between time lines a little jarring. As I read on however, I found that the POVs started to work together smoothly and it became easy to follow the story. The writing style and action-packed plot both had a very cinematic feel and I can definitely see this story and it’s characters translating well onto the big screen. The three main characters found in All Our Yesterdays are each intriguing in their own ways as we get to know them over the course of the book. Not only are they interesting to read but they also manage to hold up this complicated story without the assistance of too many confusing secondary characters entering the picture. TransAtlantic is a novel with different stories that span over different decades and generations. The stories also take the reader back and forth between Ireland and America. In the end the stories are linked together through different generations and historic events. The first story in the book is the story of Jack Alcock and Teddy Brown, two Irishmen who make the first non-stop flight over the Atlantic in an old warplane. 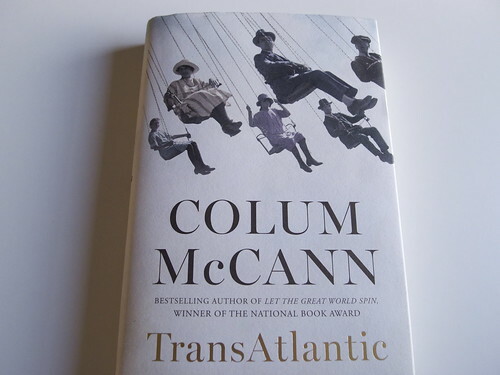 TransAtlantlic by Colum McCann is a well-written and a well-researched historical novel. 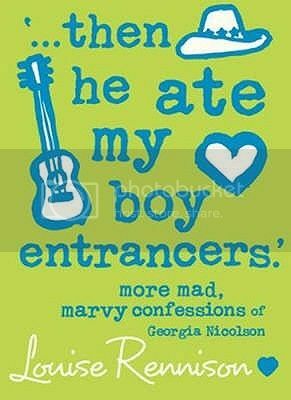 I really found myself enjoying McCann’s writing style, it was easy to follow but still colorful and descriptive. The characters and the places in the story were very vividly and nicely portrayed.But the problem with reading novels with different overlapping stories is that you as might not enjoyed the stories equally as much. For example, I wasn’t that impressed with the story of Alcock’s and Brown’s flight over the Atlantic or the story of George Mitchell, former senator who played a big part in the Irish peace process. I didn’t quite feel like George Mitchell was a natural part of the story in the same way as the other characters. But on the other hand I really enjoyed the story of Fredrick Douglass, former slave, now activist and writer who visits Ireland during the days of the Great Famine. I also really liked the story about Lily Duggan, an Irish maid that Fredrick Douglass encounters during his time in Ireland and who moves to America to start a new life. Even if I had mixed feelings about the different stories in this book I still found it to be a really enjoyable reading experience. If I had enjoyed the different stories equally as much TransAtlantic would easily be a 4-star book for me, but because I struggled with getting through a few chapters I’ll leave my rating at 3,5/5 stars. But if you like historical fiction or are interested in Irish history I definitely think you should give this book a go! I’m pretty sure you’ll enjoy it. Carrying on from my previous review I thought I would review the final 5 books in this series. 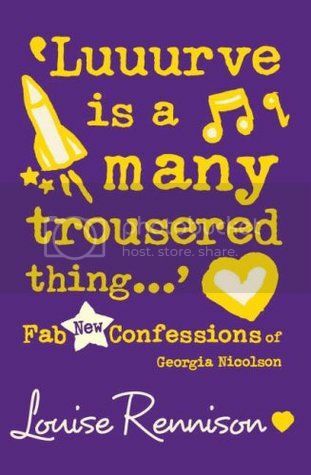 They continue on much in the same way as the first 5 books, they continue with their humour, entertaining antidotes, love issues and beauty mishaps. Georgia continues her quest to get through high school whilst having to deal with her ever embarrassing parents and surviving thanks to the support of the ace gang. 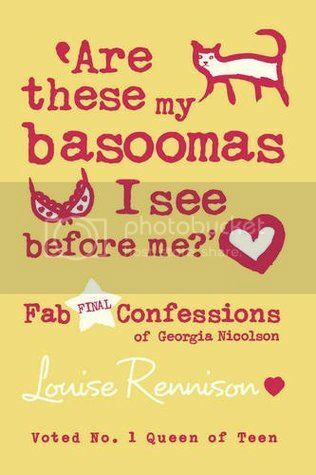 she is still struggling with love and forever chasing the boy of her dreams whether that is Masimo, Robbie or Dave the laugh that is something you won't find out until the very end of the very last book. What I love about this series of books is that for me it didn't dip, everyone books was as good as the previous ones and I didn't get bored. When I first looked at this set of 10 books I thought by around book 6 it would get a bit samey and I'd end up giving up. Although there are bits (mostly when her and Jas are arguing) that you think this has been done before, it usually turns into another obscure situation that you wouldn't dream would happen. Highly entertaining set of YA fiction, I would definitely recommend even if you just want to relieve the 'stress' of those teenage years. 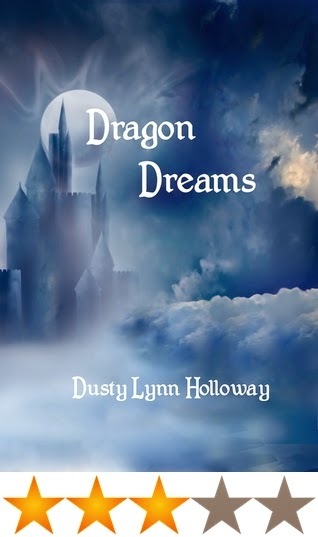 Dragon Dreams, by Dusty Lynn Holloway, is set in a world where dragons, elves and dwarves roam the landscape. It tells the story of Nachal, a man who has continuous dreams of an elf he has never met, but one whom he has grown to love. He dreams that the elf, Auri, is killed by Obsidian, the leader of rebel dragons, and Nachal sets out to find Auri the elf, to warn and protect her. While he runs from Obisian's army, he picks up his dwarf friend, Dhurmic, and they continue on in search of Auri together. Meanwhile, Auri herself is met by a Watcher called Liran, who tells her of her true past and who she is, and that she must go with him from her home, as she is the only one who can stop the poison that decays the land. Auri sets out with Liran, only to meet Nachal half way. The group - man, Watcher, dwarf, elven Auri...and a wolf - travel by sea, talk to dragons, get thrown about in storms and finally reach the other end, where fathers are discovered, identities changed and battles occur. I really loved the idea that dragons are shape shifters in this story. I think it's brilliant, and the characters were great too. I did find Nachal a bit needy at times, Liran a bit broody and Auri a tad annoying, but I guess that's just a part of their character traits. I really liked Dhurmic, though, and even though his dialogue was written in such a way that in my mind he sounded like a Scottish pirate, he a fun minor character/side kick/best friend sort of flare to him. Dragon Dreams is written in third person, but from both Nachal and Auri's point of view. I found there were a few mistakes in the book, and while that was a little annoying at times, it didn't take anything away from the story. If you're looking for a fantasy novel with dragons, dwarves, elves, evil family members, love triangles and storms, give this one a go. Thank you to Dusty Lynn Holloway for providing me with a copy of this book for an honest review.